Project Limelight gets some finishing touches and the big block fires up. 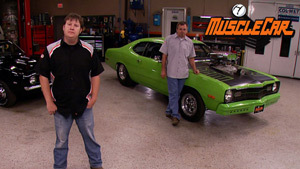 It's time for the finishing touches on the Giveaway Monte Carlo G-Machine, with Ryan from Trucks! helping Tommy from MuscleCar to put a bow on this project once and for all. 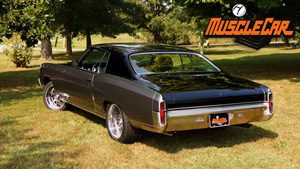 MuscleCar demonstrates how to get rid of a gnarly old Vinyl Top on the Giveaway Monte Carlo G-Machine, then after some body work Kevin from Trucks lends a hand with the paint. MuscleCar gets a hand from HorsePower Mike in stiffening the frame on the giveaway Monte Carlo G-Machine, and Ian from Xtreme 4x4 steps in to set up a bomb-proof rear end for the old Chevy. 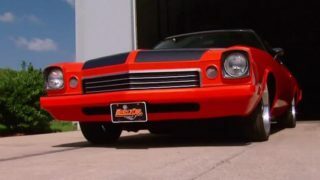 In order to transform a tired 1970 Monte Carlo into a modernized G-Machine (which you can win), Tommy from MuscleCar enlists the help of the other PowerBlock builders to make it happen, including in this show an LS build with HorsePower. 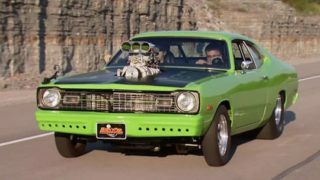 The '69 Olds Restomod moves farther along as the MuscleCar guys show several ways to fill sheet metal holes, build the steering, and mock up the brakes. 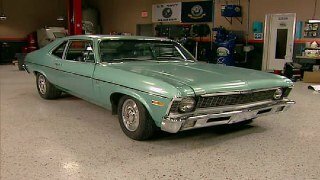 Also, Flashback looks at a piece of rare AMC Muscle. 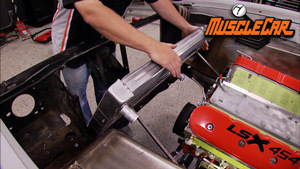 The MuscleCar guys continue modifying the '69 Olds Cutlass Restomod Project by creating a custom mounting system for the radiator. Then they plug in header and exhaust to the LSX power plant, and see how to modify a thermostat to make it work more efficiently. The MuscleCar guys do some custom fuel tank mounting and plug in a one-off fuel filler. Then see how to get started in the world of racing, and find out how to protect your ride's finish from practically any environmental factor. 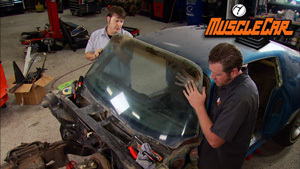 The guys get back to work on the '69 Olds Cutlass Restomod by building custom sheet metal inner fenders, and fixing some "ouchies" on the outer fenders. Mank also shows how to recreate the structural pieces that hold them together, if someone else has removed them. 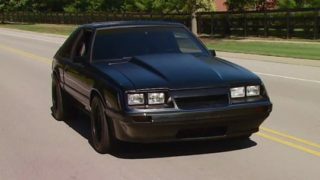 The guys finalize the COPO Camaro Tribute Project by giving a quick rundown on firing a crate motor for the first time, as well as tuning it. Then the Camaro goes outside and the guys give it a little pedal action to see what she can do! Tommy and Mank do another round of e-mail request fixes for you, including addressing stuck bolts, how radiator shops do their thing, fixing a busted cast-on bell housing, and check out a car show full of classic tv and movie cars. 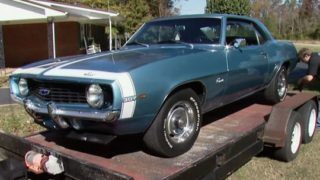 A new project is started: transforming a 1970 Camaro RS into a stock-style RS/SS 396. 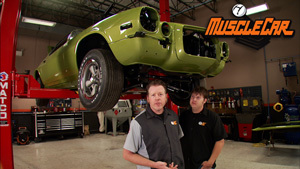 Learn how to fix old sheetmetal repairs and rust spots as Rick and Tommy work on the 1970 Camaro. The front subframe on our 1970 Camaro is torn apart and rebuilt with upgraded stock parts including a stouter sway bar. The undercarriage is given a makeover, and the rear end is swapped out for a 12-bolt unit complete with heavy duty springs. 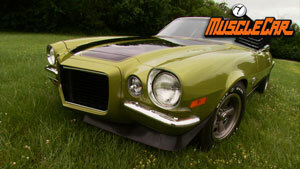 Flashback features a 1970 Camaro RS/Z28. 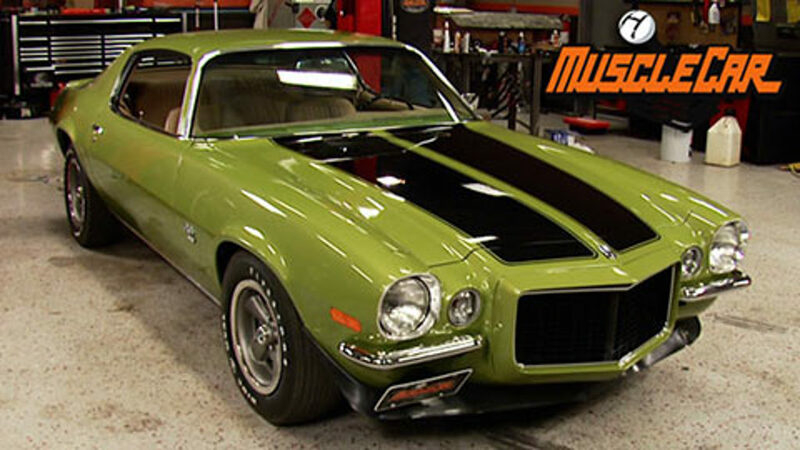 Learn about block sleeving, engine assembly, and converting a car from an auto to a manual. Project Limelight turns green, how to paint stripes over clear, and how to refurbish stock wheels. Learn how to install wiring and interior parts, including a bow-style headliner and new seat covers. Limelight gets some engine accessories. 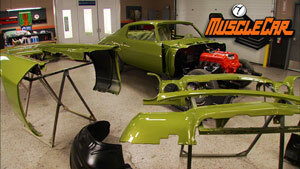 Learn how to paint and install a fiberglass hood. Limelight hits the street at the Good Guys car show, and Rick does some paint tech on MuscleCar. '74 Dodge Dart "Pro-Street Dodge"
'86 Ford Mustang "Dark Horse"
'70 Chevy Camaro RS "Limelight"
'73 Buick Century "Blue Collar Buick"